British author of whom I know little. 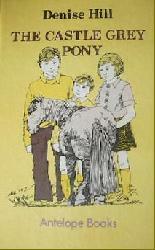 She wrote a few general children's books, but only three pony novels. Two of these form a short series about a brother and sister and their ponies. These two books have very nice first edition dust jackets which look to have been illustrated by Geoffrey Whittam. Her other stand-alone story is for younger readers. If anyone has any other information about the author I would love to hear from you. 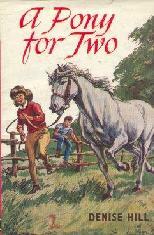 SUMMARY: Brother and sister Jeremy and Jane save up for two years to buy a pony. They fall in love with a grey mare who looks to have Arab blood in her that they see roaming in the New Forest. They are overjoyed when they get the pony of their dreams whom they call Fallada. But then mysterious men appear offering to buy the pony and then start spying on the children. What does it all mean? 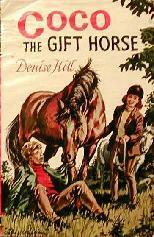 The children eventually find the answers to the mystery but will it mean losing their beloved pony? SUMMARY: Jeremy is having problems schooling his new horse Coco, certain that he could become a first-class show jumper if only he could unlock that talent. Unfortunately it is very well locked! The children then discover that their old friend Ramiro, the great Spanish horseman, is staying nearby and decide to consult him about their problem. As far as I know no paperback editions. The books in the Jeremy and Jane series are easy to find in the UK. The books can also be found in Australia, but are quite hard to find in the USA. 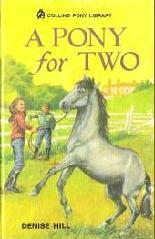 SUMMARY: Chris, Sally and James fall in love with the miniature grey ponies from a travelling circus and long for one of the ponies for their own. But the ponies are too valuable to the circus to sell...will the children's dream ever come true? The Castle Grey Pony is much rarer than the Jane and Jeremy books and more valuable. It may be extremely hard to find outside the UK.